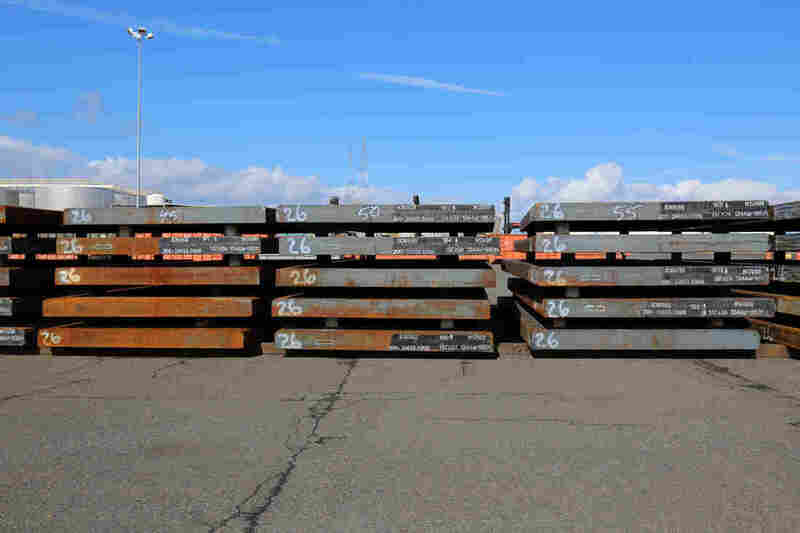 On The West Coast, Ports Brace For Steel Tariffs President Trump's new tariffs have ports and steel manufacturers in the West uneasy, as they rely on steel imports from the Pacific Rim. Slabs of steel are laid down in the work yard at Washington's Port of Vancouver. It's a normal weekday at the Port of Vancouver. That means by noon, piles of steel slab cover the work yard at the docks on the Columbia River. "Steel is tied to about a third of our revenue. 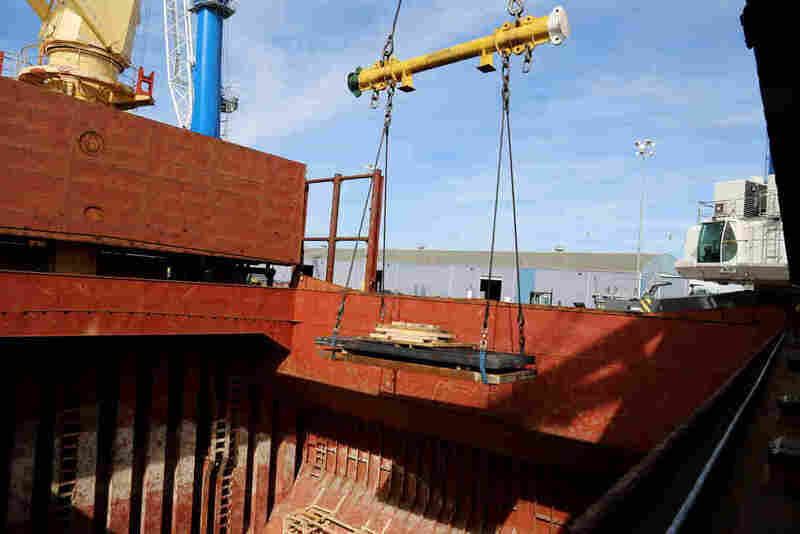 So that's pretty substantial," says Abbi Russell, communications manager for the Port of Vancouver in Washington state, the second-largest importer of steel products on the West Coast. In 2017, the port unloaded 712,834 metric tons of steel. Steel makes up more than a third of the Port of Vancouver's annual revenue. Some steel manufacturers around the U.S. say the Trump administration's tariffs will let them create jobs. But on the West Coast, many ports rely on steel from Pacific Rim countries that are subject to the tariffs. Longshoremen at the Port of Vancouver unload large steel slabs from a ship. 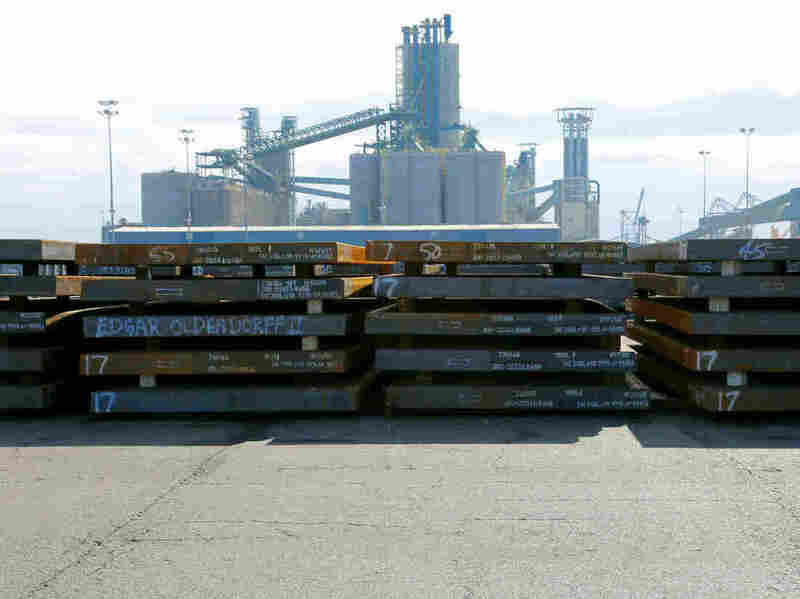 The port is the second-largest importer of steel products on the entire West Coast. 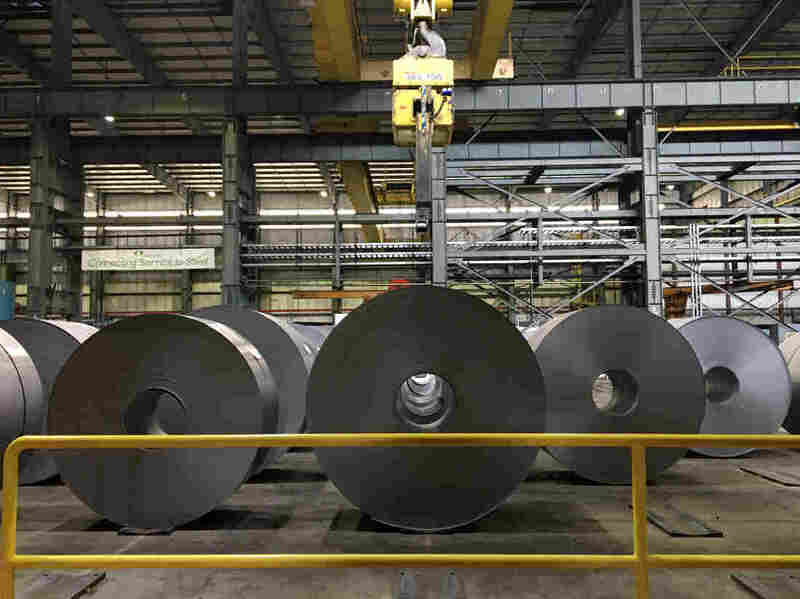 Rows of imported steel coil from Australia and Japan are lined up on the assembly line at Steelscape in Kalama, Washington. The company imports raw materials and turns them into galvanized steel used on building exteriors and for large appliances. "None of us make our own steel so we're totally reliant on raw materials coming in," says Scott Cooley, the vice president of sales and customer service for Steelscape. Most of the imported steel comes from Asian countries that are subject to the president's 25 percent tariff. "It's why none of the mills back East really supplied any of the mills out West," he says. "You're talking about all the customer base that's on the West Coast that's reliant on steel produced in market," says Cooley. "If all that has to start coming from the East, it is going to cause prices to go up." 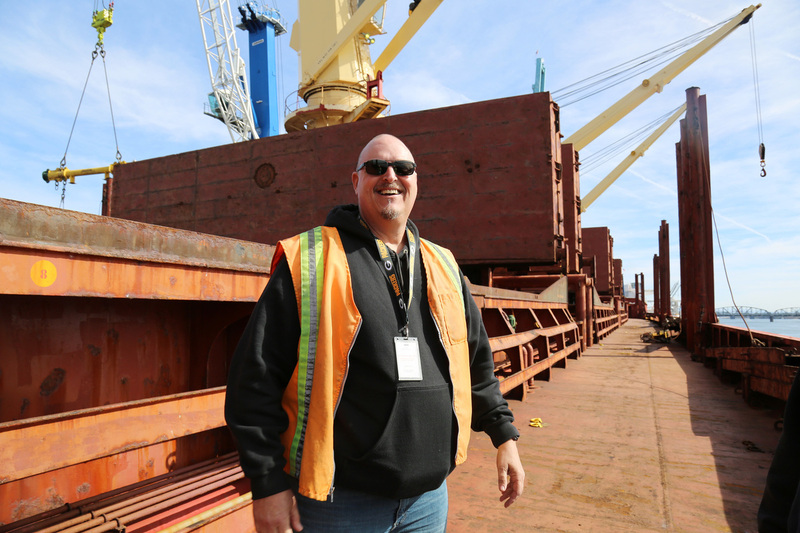 Forklift driver Rick Anderson has worked at the Port of Vancouver for more than two decades. He says most weeks, all he hauls from the port is steel. 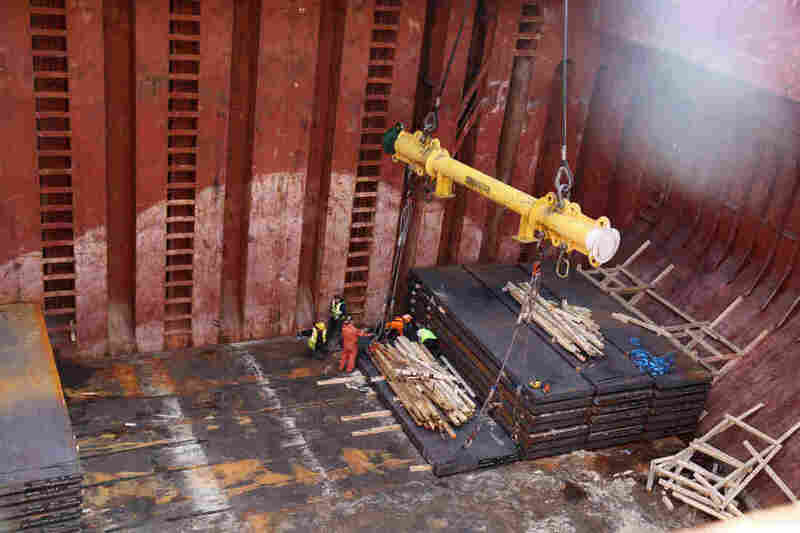 At the Port of Vancouver, longshoremen are unloading a ship from Korea that's filled with giant rectangular slabs of steel. "We're all about putting Americans to work. We'd love to export more than we import," says Anderson. "But the problem is it's just not going to work here in the Northwest."